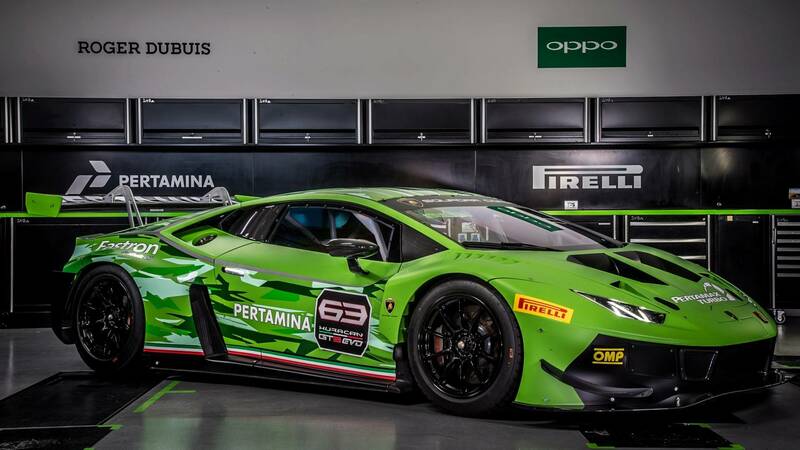 Italian luxury car maker Lamborghini has taken the wraps off an updated variant of the Huracan GT3 Evo racecar. The vehicle was exhibited at the German part of the Lamborghini Super Trofeo Europe single-marque championship. The manufacturer has promised to show it in action sometime in 2019. Compared to its predecessor, the facelifted Lamborghini Huracan GT3 Evo features a new aerodynamic kit designed in cooperation with chassis manufacturer Dallara. Restyled parts include the splitter, the diffusor, the massive carbon rear wing, and the carbon hood. The company said it has tuned the shock absorption, changed the travel time characteristics of the front suspension, and upgraded the power steering for the one used by the Huracan Super Trofeo Evo. The Lamborghini Huracan GT3 Evo racecar comes equipped with the same 5.2-liter V10 engine as its street-legal counterpart. It has reportedly received a performance boost, but no precise figures are being provided at the moment.